Is It Ok to Flirt With Other People? 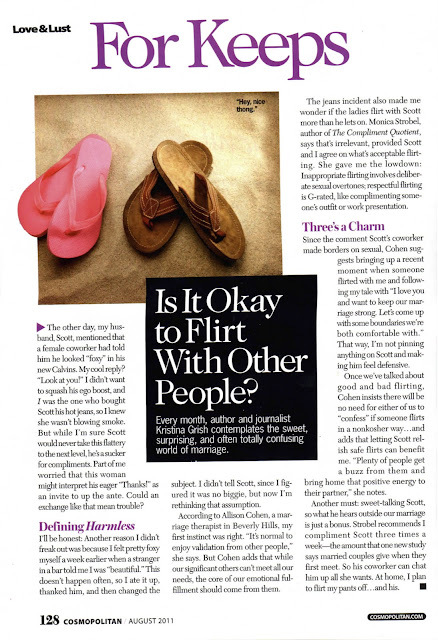 I had the privilege of being interviewed by Cosmopolitan magazine for this article. It's in the August 2011 issue, on stands now. Pick up the magazine or take a look at the image of the article below.